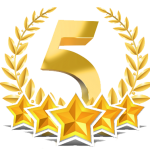 “I cannot recommend highly enough the services of Gini and Peter. They have a very special combination of professionalism, integrity, good judgement and extensive local knowledge, along with great personal warmth and consideration. There are so many aspects to buying a property in a foreign country and it is very reassuring to find agents you can trust to guide you so well through the process. Thank you both! My wife and I for many years had been planning to purchase a property In Cyprus. We decided nearly 2 years ago to seriously start the viewing trail. Unfortunately we came across many properties which were either too expensive or purely In the wrong location. Then we were given your name as a reputable Estate Agent. What a good day that was, you soon recognised our requirements and arranged suitable viewings on our arrival In Cyprus June 2015. Being a retired Estate Agent myself It soon came clear that we had a very experienced agent In front of us who not only had a fantastic choice of properties but also had full knowledge of the Cyprus Property Market. Local knowledge Is only one part of selling property, guiding purchasers and vendors through the Cyprus process could be difficult and expensive should you not have the Professional help. So to our purchase at Aphrodite Hills with both golf and sea views. You kindly showed us the property with just breathtaking views and all our boxes were ticked. This was the one and Immediately made an offer which you negotiated with your vendor. We now have a fantastic holiday home and visit 4 times per year. Judith and I would certainly recommend your company. As the proud owners of a fabulous property, the daunting prospect of acquiring a vacation home in Cyprus, evaporated into a distant memory thanks to Mr Peter Cooper of Aphrodite Property Sales (APS). Mr Cooper’s extensive knowledge, of the Cypriot real estate market, coupled with his ability to carefully evaluate his clients’ requirement allowed him to quickly short-list suitable properties to suit our needs. His follow up and comprehensive service are second to none, and we would not hesitate to recommend APS to anyone wishing to purchase a property in Cyprus. From the initial enquiry I sent from the UK to visiting properties when in Cyprus to finally completing on our place in the sun, Peter and Gini were always at the end of an email to provide help and advice. We cannot recommend the services provided by Aphrodite Property Sales highly enough. Their knowledge of the property market and the properties on their books is second to none. They tailor make their services to suit the needs to the individual; we really appreciated the personal touch they brought to the process. As an Estate Agent of some 30 years standing, I am probably more critical than most when it comes to rating my peers in the industry but relax because on this occasion , I offer only praise and unreserved gratitude for the level of service you extended to us throughout the entire process of buying our home in Cyprus. Thank you and of course Gini for all your support, skillful diplomacy and most importantly, sense of calm. It really does help!